When September comes around, I want my garden to be filled with mums and asters. Bright yellows, fluffy purples, the colors of fall. 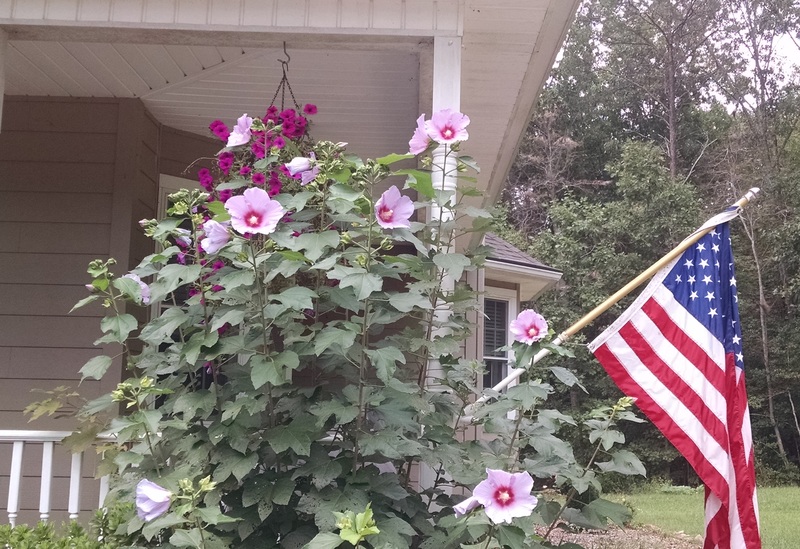 But for some reason, it wasn’t until the end of August that some of my summer bloomers really started to get going. And then they took off during the month of September! 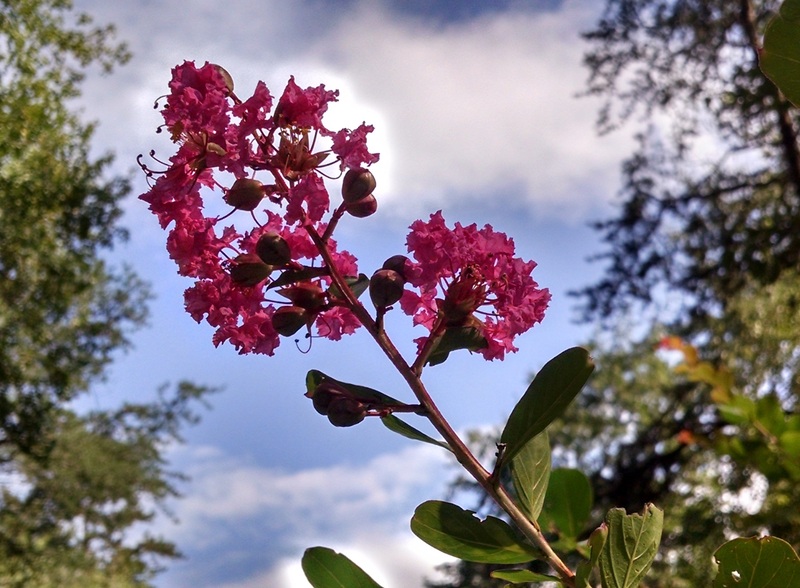 My crape myrtles, which are magnificent when full of blooms, wait until most of the others in our area have faded before displaying their full glory. And my hollyhock, of all things, was just a towering green shrub for most of the summer. It has just been the last few weeks that these blooms popped out, and there have been about 10 blooms at a time for days on end. Finally! Don’t get me wrong, I’m not upset that my flowers are blooming late. But it does bother me a little, when I see other people’s gardens full of blooms in July and August, and I have to wait until September for mine. The same thing happened with my irises this spring, they all bloomed two weeks later than the ones in people’s gardens around Elkin. I have decided that the reason for my late-bloomers is because I live in a microclimate. Yes, I must be in a different USDA Zone, one that encompasses only the few acres surrounding my house. It definitely makes for fun times exploring the woods around us. Down by the creek on the other side of the road from our house, the plants in the woods are definitely Piedmont natives. But as you come over to the side of the road our house is on, you start seeing the running cedar and partridge berry that populate the mountain areas of our state. I guess it’s only fitting that I have late-bloomers in my garden. I was a late bloomer myself. Scrawny and shy as a child, it really wasn’t until I went to college that I felt like I came into my own. There I was able to explore who I was, learn about so many new things, and grow my own self confidence in who I am. Rather than looking at late bloomers as someone, or something, coming late to the game, I like to look at them as something that adds depth and interest. After all, it’s not many gardens that get to have fully blooming hollyhocks right beside the bright yellow mums!